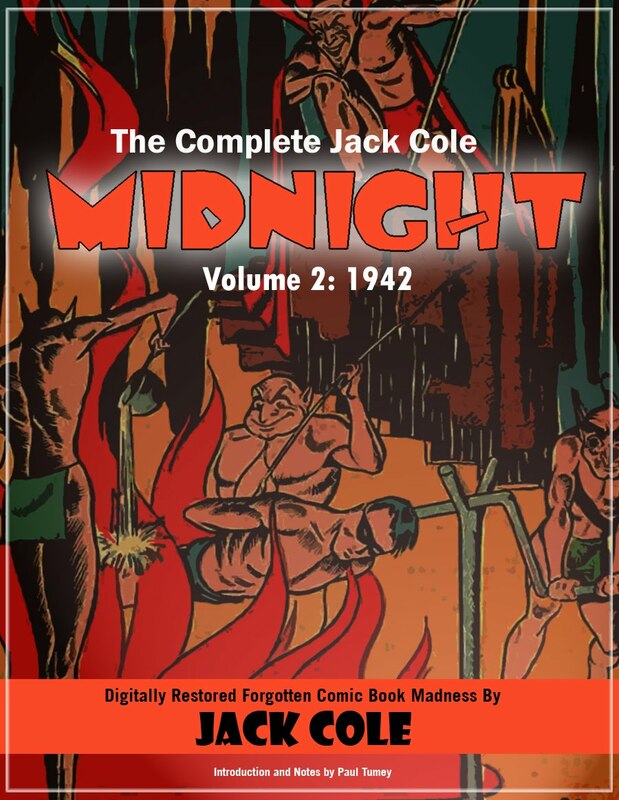 I never cease to be amazed at Jack Cole's unmatched ability and desire to propel his characters through space. 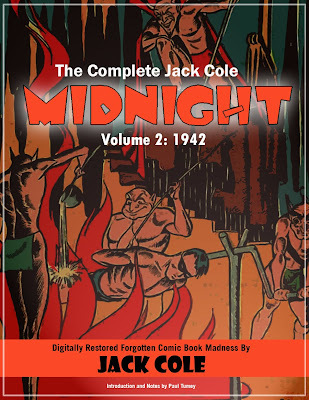 The Digital Comic Museum recently shared a rare, obscure Harry Chesler comic that contains a reprint of a terrific little 2-page story Jack did at the dawn of his career in comics, circa 1938-39 (thanks to Frank Young for this dating information). Although we don't yet know the original publication information for this story, it appears in The Komik Pages #10 (April, 1945). Incidentally, this was the only issue published! 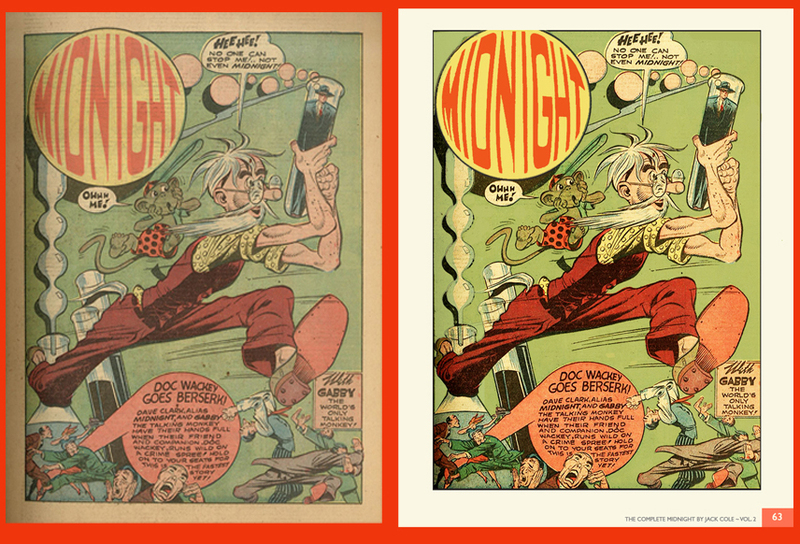 Even though it's unsigned, there's no doubt this story is written, penciled, inked, and lettered by Jack Cole. 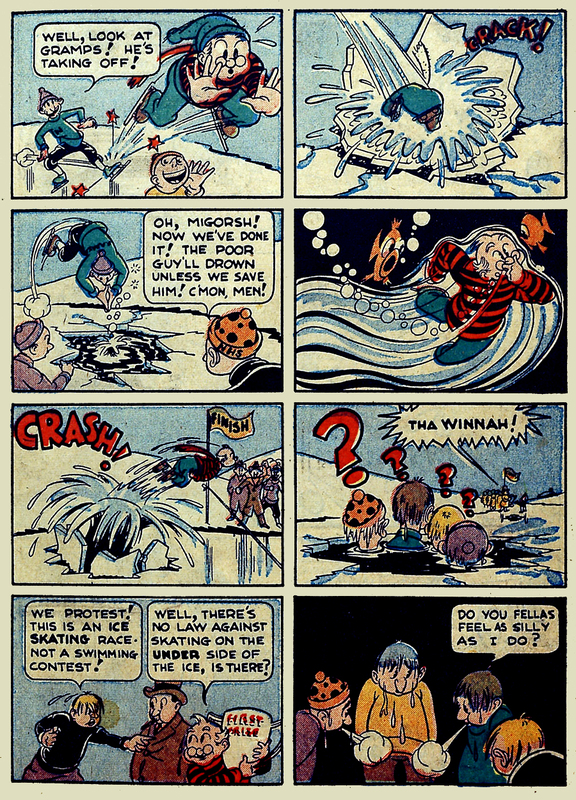 The manic energy and sheer quantity of comic graphic ideas in these two pages is unique to Cole, who embraced these elements of screwball comics and made them his own. 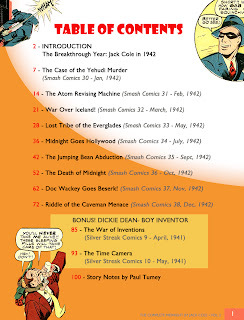 Harry Chesler was an early -- if not the first -- example of a comic book publisher of reprinting their own material. 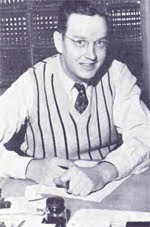 This is why we see a Jack Cole story in one of Chesler's 1945 books, years after Cole had begun to work at Quality. It's interesting to think that on some newsstands around February 1945, Cole's great Plastic Man comics stood alongside this unsigned reprint of his much earlier work. Foxy Grandpa is a character that can be traced back to early newspaper comics. How -- and why -- Chesler felt compelled to add such an ancient character to his own mix of one- and two-page comics, is a mystery. The idea of an old man doing funny things has limited appeal to me, but maybe it cracked up readers of Chesler's generation. Here's a Foxy Grandpa page from 1902, a dozen years before Jack was even born! I'm not sure who drew this. 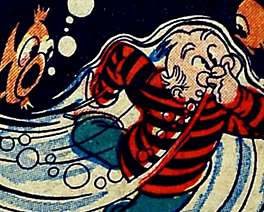 In this episode, Foxy Grandpa cleverly foils two Katzenjammer-style kids and turns their own prank against them. Maybe this was wish-fulfillment for an older generation. You can find more of these enigmatic old FG comics, plus a ton of other amazing old comics at the Barnacle Press website. In any case, somehow, Foxy Grandpa has become an indelible part of our folk culture. 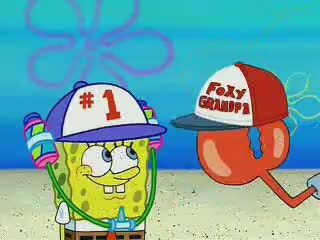 A few years ago, I was startled to see a reference top Foxy Grandpa in a Spongebob cartoon (One Krab's Trash) I watched with my son Reid:. 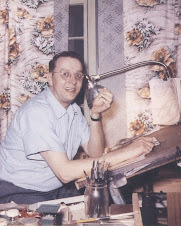 While others wrote and drew Foxy Grandpa at the Harry Chesler studio, Jack Cole's version of the character is uniquely his, imbued with superhuman energy that at times seems to rival Superman's and The Flash's powers. 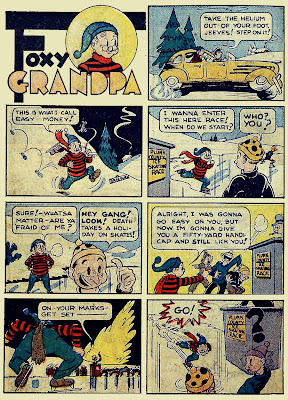 Check out the 1939 Foxy Grandpa story I posted earlier here, where he runs up and down the side of a mountain! "The body's old, but the motor's in high gear!" sez Foxy Grandpa. 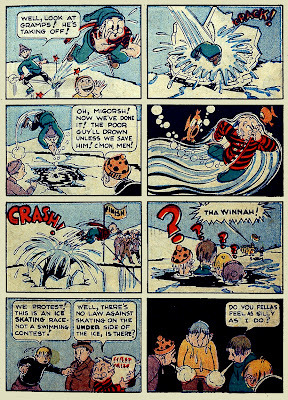 In today's addition to our digital archive of lost gems form the Cole-mine, Foxy Grandpa careens and ricochets across a frozen lake like a bullet shot from a gun. 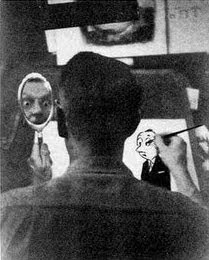 Cole clearly was consciously injecting high velocity into his cartoons to distinguish them. 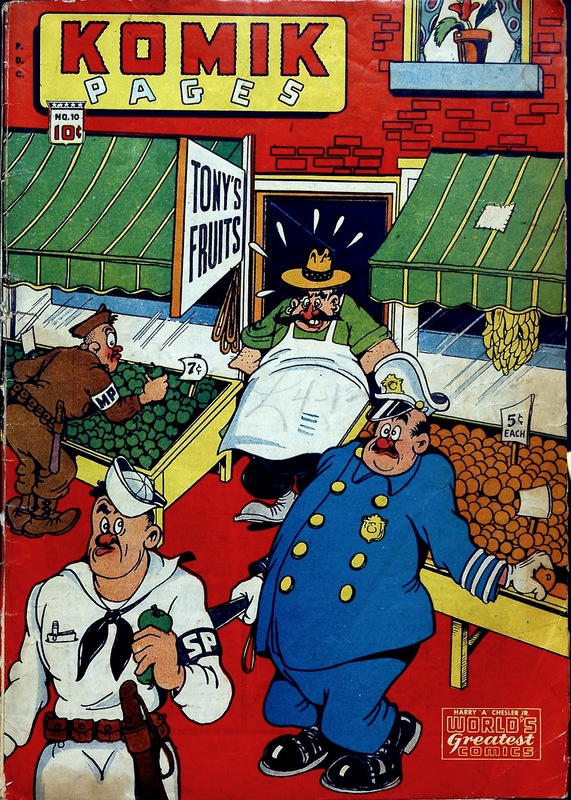 I think he was probably hugely influenced in this by the screwball school of comics, particularly Bill Holman's madcap newspaper comic strip Smokey Stover. (By the account of one of Cole's colleagues, Craig Flessel, Cole was a fan of Smokey Stover). 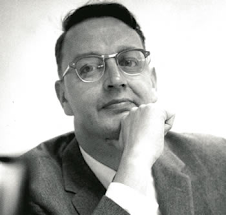 See my earlier post here on Holman's influence. I think Cole loved the speed and density of screwball comics, and created his own unique mix in the structure of a longer sequential graphic narrative. His breathless Plastic Man stories went up to 15 pages. Here, early on, he's experimenting with extreme speed in a two page story. There are many remarkable aspects to this little dose of dizziness. Check out the car in page one, panel two -- I've observed before that Cole's cars rarely had their wheels on the ground. You see this a lot in his first run Midnight stories. Page one, panel seven offers a terrific low-angle "camera" view, which is reversed in the first page of the next page. Page two, panel four shows us Foxy Grandpa underwater, and is a wonderfully abstracted, wordless panel on its own-- somehow Cole perfectly conveys the feeling of diving into dark water. He sure packed a lot into this throwaway story! It's terrific that we have the chance to appreciate it some 70 years later!